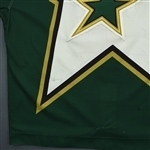 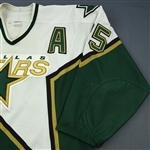 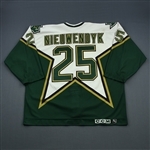 Dallas Stars forward Joe Nieuwendyk wore this jersey during the 2000 Stanley Cup Playoffs and Games 3, 4 and 6 of the 2000 Stanley Cup Final. 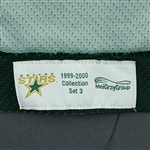 The jersey has been photo-matched to an 8x10 photo of Nieuwendyk during the Stanley Cup Final. 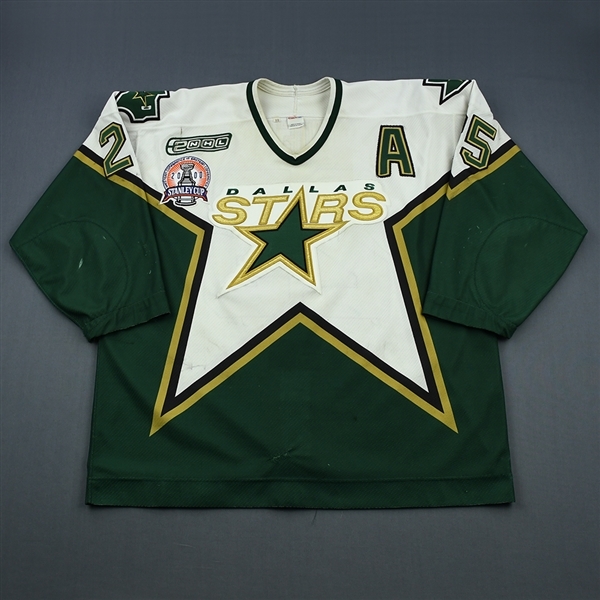 This jersey has also been photo-matched to Game 5 of the Western Conference Quarterfinals vs. Edmonton. 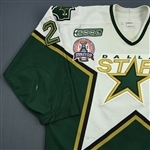 In both photos, the mark running through the NHL2000 patch can be seen. 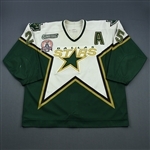 The jersey exhibits two team repairs, black marks and board burns. 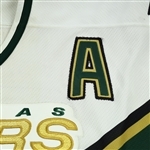 The sleeves have been shortened at the cuff. A Stars LOA with MeiGray registration and the 8"X10" photo-match will accompany this jersey.